Travel insurance might just be the last thing on your mind when planning a holiday. However, there are many benefits to covering your trip especially if it’s a long haul. In a crisis situation, travel insurance can be the best thing you can have. Most people will spend more time and energy spotting the best locations but overlooking the benefits of travel insurance. There are chances, however small, of illnesses, accidents, injuries, flight cancellations and other factors when travelling to a foreign country and you need a way to cover some of the incidents when they do happen. This is not to say that travel insurance will help you avoid misfortunes and anything nature has in store for a certain landscape, but among other benefits, travel insurance offers the monetary compensation necessary to quickly resolve and overcome some of this unwanted situations. Why do you need travel insurance? What does it cover? Illness is a common misfortune for long travels and you will certainly be in a better peace of mind knowing that you are in good hands on your next long vacation away from home. Your medical needs will be covered while on vacation and if you are working with a good travel insurer, you can get additional road or air transport to the nearest quality hospital when you fall ill. Take note that the role of travel insurance is to offer the fastest best solution when a misfortune within the cover (like illnesses/theft) happens to you on your trip. Preexisting conditions like chronic illnesses will be covered separately. This covers your valuables during the length of your trip. This could be anything from jewelry, laptops, cameras, watches. Although this category may limit what can be covered, you will be compensated when you lose these items either via theft or disappearance. If your passport is also among the items lost, travel insurance will quicken the time of replacement for convenience. If you have booked a full trip with all expenses included, but you are forced to cancel your trip because of an unseen event like a family death or related grievance, you will unfortunately have to suffer the loss of the cancelled trip unless you are covered. This category covers the costs of having to shorten the length of your vacation because of such events. In case of personal accidents and the resulting damages, you have the opportunity to recover. This covers you when you damage someone’s property or cause injury to others on your trip in the way covered in the policy. Still on accidents, if you are badly hurt, or you face the unfortunate possibility of death, your family will be offered a sum of money as compensation. Travel insurance also covers any costs of a legal nature caused by personal accidents or liability. Just like any other insurance, different companies may have different policies in terms of the exact levels they are willing to cover so you should analyze your options before you make your final decision. Some insurers may not cover injuries caused by extreme sports like mountain climbing and skiing. Also, if your holiday destination has any concerns that endanger your trip, or concerns of a natural manner like earthquakes and volcanoes, go through the options and find the one which covers such threats. There are two types of travel insurance. Single Trip Insurance - this covers one trip per year. Annual Insurance on the other hand will cover multiple trips in a year or within a fixed period of time agreed within a certain policy, which can be limited it to certain locations like Asia or Europe. Annual policies are obviously more expensive but are worthy investments as they have less limits when you plan to go for two or more trips within the year. Also note that buying a travel insurance that doesn’t cover everything you need is a waste because by paying the agreed premiums, you will be facing a repayable expense that wasn’t necessary to you in the first place. Allianztravelinsurance.com helps you cover the what-ifs for your trips. From theft to personal loss to trip cancellation, they help you plan your vacation with confidence by offering competitive plans at affordable prices to match your needs. 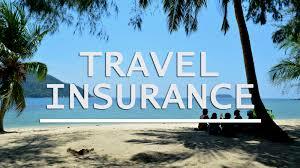 Travelex Travel Insurance is a trustworthy travel protection and emergency trip assistance. It has been in existence for ages and helps cover travel risks and investments with good knowledge of the industry. Atlas Travel Insurance offers very flexible coverage for anyone looking to cover specific needs for trips abroad. From their basic plans to their most complex, they cover the most essential to the more specific needs. To conclude, a good travel insurance policy may have many different sections of cover, and some may not apply to you, but for most travelers, standard travel insurance policy will take care of all the unwanted events that can happen to you while on your trip.